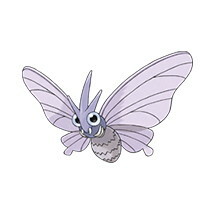 This page contains all the information available for Venomoth in Pokemon Ultra Sun and Moon including the moves learnt by level up, egg moves and TM moves. Shield Dust This Pokémon’s dust blocks the additional effects of attacks taken. Wonder Skin Makes status moves more likely to miss. Sun and Moon Evolve Venonat.